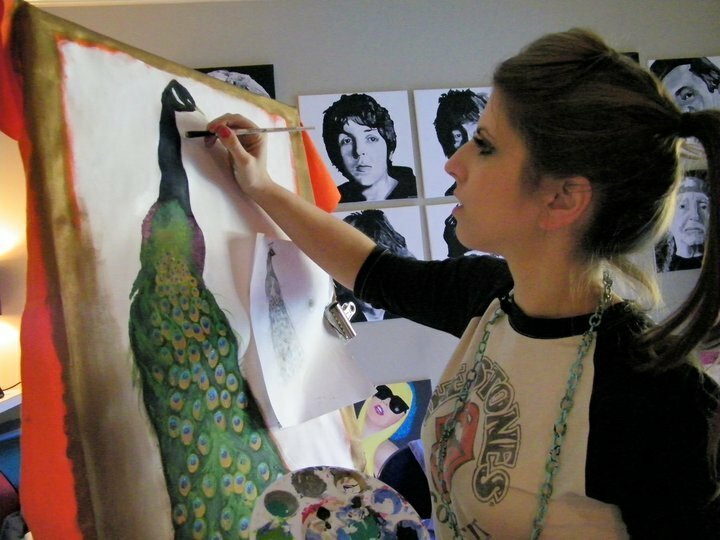 Based in South Texas, Claire Casseb describes her work as “Contemporary Pop Art & Photorealism." Working in a variety of media, she is known for her Legends Series of celebrity portraits; her Glitter Collection, and her commissioned work for such clients as Gotta Play Tennis (a tennis shop at The Ridge Shopping Center in San Antonio), Belles & Beaux (a children's boutique located in Alamo Heights, Texas), and the acclaimed band The Krayolas (whose latest album, Tipsy Topsy Turvy, features cover art designed by Claire). Her work has been showcased at a variety of locations such as the Bexar County Courthouse, La Tuna Grill, Big House Coffee Bar, Starbucks on Broadway and the Architecture Foundation of San Antonio.